- 🕑 15 seconds to answer each question. 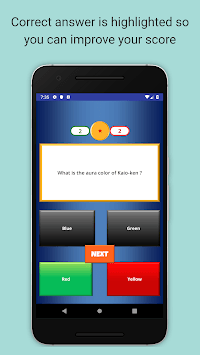 - 🔀 Random difficulty questions, some are easy and some really hard ! 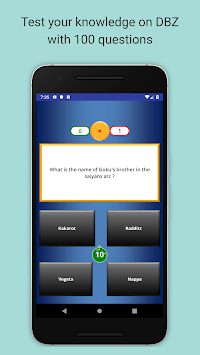 Test yourself to see how much you can remember from the television series with this free trivia quiz on dragon ball Z. Improve your knowledge on the dragon ball Z lore thanks to the automatic correction of each answer. 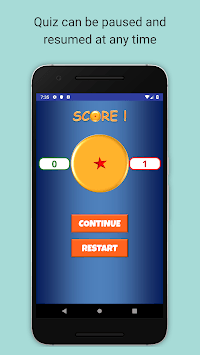 You can retry indefinitely the quiz to reach the 100 points and become the greatest DBZ fan ! Retrieve all the characters of the dragon ball z legend : Goku, Vegeta, Frieza, Buu, Cell etc. in this Dragon Ball Z game, for free. - The quiz can be re-started at any time. - Current score is updated live so you can know where you stand.